Planning a wedding is a very precious and personal experience. Sophisticated Weddings will guarantee to eliminate any disasters that may occur and take the stress out of planning your special day, no matter if you are planning the wedding yourself; or would like us to participate in part of the planning process; or we can just take care of everything for you. My name is Lisa Morris and I’ve been running my own wedding planning business in Brisbane for over 3 years. Before I became a successful Wedding Planner, I was the event manager for several of Australia’s most prestigious hotels and restaurants. In total, I have had over 25 years of experience in the event management and hospitality industry. Sophisticated Weddings provides consulting and planning services for all styles of weddings. Our consultants are experienced and dedicated professionals with many years of event planning experience. Our goal is to offer you a truly unique experience that will leave a lasting impression on you and your guests. Knowing that a professional is managing all the planning will enable you to relax and enjoy your engagement. Why should I use a wedding planner, when I can do it all myself? Weddings are among the most beautiful, yet most stressful events we have in our lives. So why not invite a professional to lend a hand? Planning a wedding takes an incredible amount of time, especially if you want it done right. Wedding planners know the industry and the local wedding suppliers. Having a wedding planner is like having a personal assistant who is there to do all of the calling, ordering, and looking after details that you may not have time to do. If I book a free consultation am I obliged to sign a contract? No – Your first consultation is completely free and you have no obligation to sign an agreement with us. However at the end of the consultation we will ask you if you would like us to plan your wedding for you and then if you do want us to go ahead we will get you to sign a contract. How much time is required to plan the average wedding? The wedding industry standard is approximately 250 hours to arrange the average wedding. This includes research, planning, booking and finalising everything. However if you do not have the experience this can be far greater and take up all your spare waking hours. This is what we do best. Once you book a free consultation, we will sit down with you and work out exactly what you would like on your special day and once you sign an agreement with us, we will then go through preparing a budget and working with you to ensure that your special day goes exactly as planned. Will I be free to make my own choices? The final decision is always yours. We will give you options and will talk with you often, however as you pay the bills the final decision is always yours. When should I arrange my free consultation? As soon as possible, whether you are getting married in a couple of weeks or a couple of years, arrange for a free consultation now and we will start the planning process. We are on a tight budget. Can you help us? Definitely. We are happy to work with all budgets, we would love to sit down with you and work through your ideas, please just give me a call. We do have packages available, however, we will usually tailor each package to suit your specific needs as we realise our clients are all unique and so too is your wedding day. What is the maximum number of guests you can cater for? No wedding is too large or too small; the team at Sophisticated Weddings will work with you to plan your special day no matter the size or style of your wedding. Can you help us with accommodation and transfers for our wedding guests? Yes, we can source suitable accommodation for your wedding guest and arrange all their transport to and from the wedding. Do you have contingency plans for inclement weather? Of course, a plan B is always taken care of and ready to implement. Can you assist me with my Bride and Groom pre-wedding parties? We can offer you many options for your Hen and Bucks night celebrations. Do I need a permit to have a beach or garden wedding ceremony? Yes, you do need a permit if you’re holding your wedding ceremony in a public park, garden or even on the beach. Some council’s do charge a fee and have rules and regulations they like you to adhere to. We would like to have a beach wedding but don’t know where to start looking? We can make suggestions for the ideal beach or garden location for your ceremony, just let us know your requirements and leave the rest to us. I live overseas and wish to get married in Queensland can you help? Yes, we are able to help interstate and international clients with the planning of their wedding all consultations are conducted through email contact. We email photos, quotes etc. so the decisions are still yours. I want to have something a little different can you help? Yes we can. The impossible usually just takes a little longer but usually it is possible. Thank you so much for all your help in planning our wedding. I really didn’t know where to start and I am so grateful that you where there to step in and help me focus on the important issues and major decisions. I am really bad with small details and it was just great to have you there to sort them out for me, otherwise I would have ended up a nervous wreck trying to work it all out by myself. I had thought that a wedding planner was a real luxury but I see now how sensible it is to get professional help for such a big event. It was too big for me on my own. It was also great just to have someone to talk to when I felt overwhelmed or unsure. You kept your calm and kept everyone on track. And you made it fun too. I can’t thank you enough, the day wouldn’t have been as special without your help. You were absolutely brilliant. We would like to thank you for being part of our wedding and sharing this special time with both of us. Thank you for all your hard work and we are happy to have met you. We wanted to say a BIG thank you for all you did to make our wedding the best day of our lives! We had an awesome day and night and none of it could have been possible without all your input, ideas, patience, understanding and hard work. We honestly could not have done it without you! 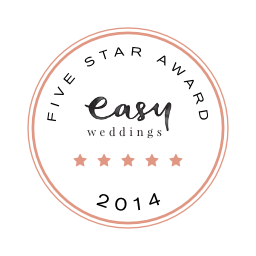 We are still talking about it and so are our guests – they say it was the best wedding they have been to! Amazing amazing amazing!!! So happy to see all hard work paid off. You were such a wonderful help and made my day so relax-ing for me… you were a legend. Thank you so much! !